Looking for That Classic Beatbox Video? 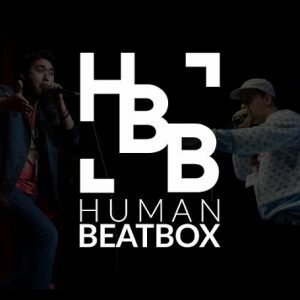 It feels like we don't have enough hours in the day to enjoy all the amazing beatbox videos out there today. I have a hard time combing through all the viral videos my friends are tagging me in on Facebook in the first place. 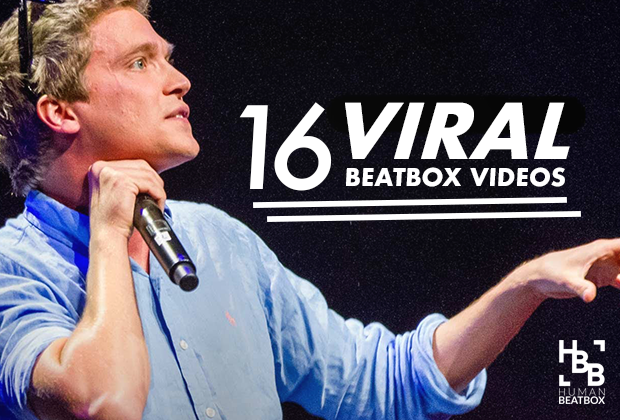 For the younger folk, there was indeed a time when beatbox videos were a scarcity. I remember having to go through Ebaumsworld, Gprime, and several newsletter chains only to find a handful of videos that I watched almost on an everyday basis. 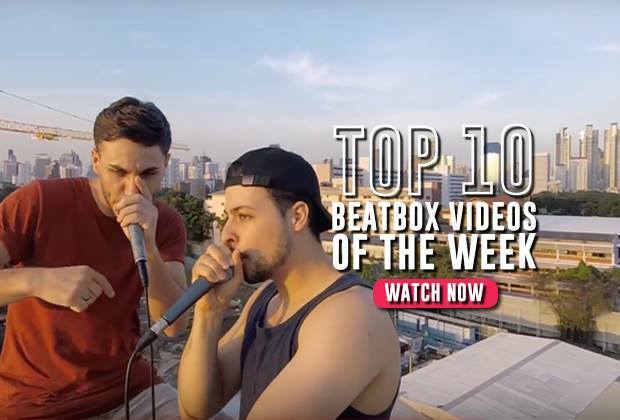 Thanks to YouTube, a massive uprising of beatbox videos came to be - and thus the birth of the global beatbox community we have today. In this post, I want to take a few minutes to revisit a few of the videos that we used to cherish. A blast from the past - pre-YouTube videos that inspired us to become the artists we are today. 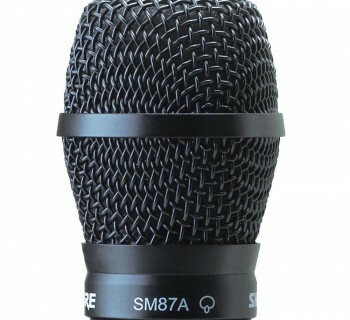 And for the new school generation, I hope you enjoy this treat and discover a small piece of beatbox history. I wholeheartedly believe that this is by far the most influential beatbox video of our generation. Rahzel, the self-dubbed Godfather of Noize, shocked millions of unsuspecting viewers from all over the globe by beatboxing while singing at the same time in his most iconic routine, "If Your Mother Only Knew." While this is a common technique used today, this video shifted the perceptions of what beatboxers could do. 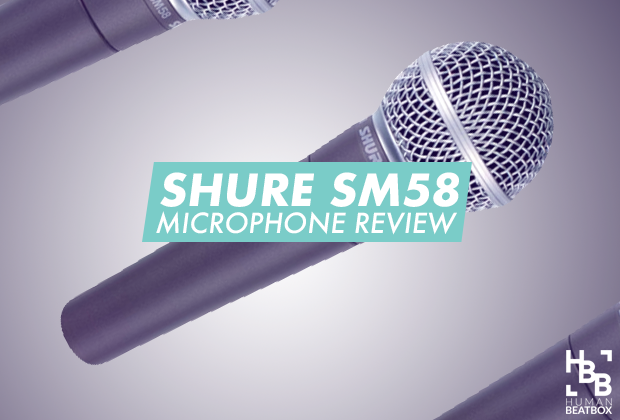 Heck, it unlocked a universe of possibilities for both old school beatboxers and aspiring beatboxers alike - an impeccable impact that we haven't experienced in a long, long time. This viral video starring Poolpo still makes the rounds today, still entertaining the world with iconic pop beats that most beatboxers today will recognize. Championing the slick-gelled porcupine hair, Poolpo's routine is one of the cleanest and well-composed that I've ever seen. This video justifiably propelled the French beatboxer to incredible heights, where in just a brief stint, he eventually starred in car commercials and tons of guest appearances on French talk shows. Speaking of French beatboxers, lest not forget this iconic video from Eklips, which served as a springboard for Eklips' fleeting career as a beatbox superstar. In this short clip, Eklips replicates famous tunes like 'Around the World' by Daft Punk and Usher's 'Yeah' and 50 Cent's 'In Da Club,' fitting in a ton of new school (at the time) techniques and perfectly executed vocal scratches. He had one opportunity to really showcase his talent, and he packaged it in a perfectly executed and tight set, something that all beatboxers should be ready for. Today, Eklips has released 3 albums including, "Lips," "Monster, and "Skyzofrench Rap," which you can find on his Spotify here. I chose this video out of the tens of mind-blowing videos by Kenny Muhammad, because it perfectly encapsulates the raw power, endurance, and unmatched strength that Kenny possesses. His iconic k-snare, breathing techniques, and flawless fundamentals are all things that every beatboxer can learn from. Sometimes we get carried away with fancy tricks and gimmicks in the new-school scene and forget the impeccable importance of a strong foundation. Tom Thum's perfect blend of comedy, showmanship, and beatbox talent warrants his place in the top 10 most popular Ted Talks of all time. Thum's creative performance sparked a movement within the community, inspiring a new wave of loopstation beatboxers. The greatest part of all this is not only Thum's continual involvement with the community but immense growth as an artist. His collaboration with the Queensland Orchestra is a true testament to that. Roxorloops stood as one of the most beloved figures in the beatbox community, particularly through his incredible innovation of sounds and his epic battle against Joel Turner in the first beatbox world championship final. Roxorloops today is playing an influential role in growing the European beatbox community. As a friend of his, I should also include that he is also one of the most inquisitive beatboxers in the community, often outspoken with his philosophies of the art form. Reeps One's interview with Beatbox Battle TV is easily one for the history books. This marked a major turning point for Reeps' career, as he transitioned from purely a beatboxer and to a true artist. In this interview, he covered his early interpretations of the greater purpose of beatboxing - largely inspiring our interpretation of the art form as well. If you ever wondered why there was a huge boom in dubstep routines, this video plays a large part in that. Dave Crowe's iconic street performance inspired the next generation of buskers. His showmanship was unmatched at the time, drawing in huge crowds both offline and online. His beatbox harmonica routine, largely inspired by Doug E Fresh, became recognizable everywhere, and even made it as a Nickelodeon intro! Most Middle School and Old School beatboxers can replicate Faith SFX's acclaimed Godfather click routine. Although the clip is short, it gives a sweet taste of what incredible impact Faith SFX's routines made in the UK beatbox community. Reeps One often cites Faith as one of his biggest inspirations when he initially started beatboxing. While beatboxing was shifting towards more musical interpretations, Petebox's video series was a hard marker of that transition. The Panther Dance cemented the fact that beatbox wasn't just a gimmicky hobby, but can shape a full musical career. Pete is currently touring the world, showcasing his incredible musical talent. Standing as one of the most popular YouTube influencers today, Hikakin broke the internet with his snackable viral hits, like his Skrillex Beatbox covers and Mario beatbox videos. As his viewership continued to climb, Hikakin founded UUUM, a YouTube multichannel network for Japanese content creators. Although today he vlogs more than he beatboxes, Hikakin still plays a huge role in evangelizing the world about the wonders of beatbox. Greg Patillo was one of the first few beatboxers who combined our artform with another instrument and executed it with true style. 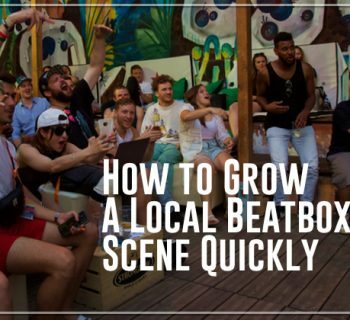 Soon after Patillo's viral hit, we saw more saxophone beatboxers, recorder beatboxers, more harmonica beatboxers, and even brass beatboxers come to the forefront, opening up a whole new avenue of interpretation for beatbox. "My name is Daichi, and I want to win the beatbox battle wild card" is single-handedly one of the most widely recognizable lines in the beatbox community. Rightly so, because this wildcard video by the Japanese superstar took the world by storm. This routine was a delightful mix of perfectly executed combos, crab scratches, and throat bass control. A legendary video at that! The 2009 World Beatbox Champion broke the internet with this beautiful act of spontaneous collaboration. This video was 2 minutes of pure wholesomeness, showing the world the power of communicating through our language of beatbox. After this viral hit, Vahtang rode the wave of popularity, and is now doing pretty well for himself in the European music community. You can check out his single here. Beardyman's musical intelligence propelled his career beyond the beatbox community. After winning a few beatbox championship titles in the UK, he later moved on to expand his musical expertise through the invention of the Beardytron, a multi-screen mixer where he produces full musical performances LIVE by sampling only sounds from his mouth. Although a little bit of controversy separated him from the beatbox community, Beardyman continues to push the art form in incredible ways. Aaaand finally, I'd like to wrap up this list with one of my favorite videos, which I must admit, took a lot longer to find than I anticipated. This clip floated around the web in the early days and I didn't believe it was real. Unfortunately, we don't have much information about who this mystery beatboxer is, but his impeccable skills contributed to my personal love for the art form. Thanks mystery beatboxer! Which viral video are we missing?